Winter weddings have long been associated with a certain magic – after all, they take place at a time of year that is already pretty special given the ongoing Christmas celebrations. However, it’s also true that every little touch or adjustment can help so much to make an already heart-warming and inspiring occasion even more so. the two families that are brought together by the union. allow her passage, thereby also symbolising her ability to overcome the obstacles of married life. details on the legal process of tying the knot in France. bride’s needs during her married life. red velvet chairs for the exchange of vows. This is a term covering all of the wedding-related festivities involving the wedding party and guests. horns blaring en route – is more typical. be heavily decorated with pans or tins that trail behind it during the journey. wedding croquembouche on The Good Life France website. Bouffémont in its enchanting setting of manicured French gardens. because we are also in such close proximity to Paris, the City of Lights itself. For so many couples, it is a lifelong and heartfelt dream to get married in France. This may be due to an enduring love of French culture, or perhaps a family or ancestral connection to the country. Alternatively, you may simply be looking to tie the knot abroad and have considered France due to its strong associations with all things romance. However, there is much more to the organisation of a French wedding than simply finding the prettiest and most enchanting backdrop on which to confirm one’s union. Here are some of the other factors that demand consideration. Romance. The word itself provokes intense feelings and thoughts, good and bad because it is such a crucial concept for the human soul. So many of the world’s greatest achievements in art, literature, music and sculpture have been created because of it. Many of them had significant movements ordained under their name – the romanticists or the romantic style. It resonates because of the strength of its connotations. When we start to think about the ingredients of a perfect setting for the ultimate romantic occasion – a wedding – then we are led inexorably to one place. France. Hugo, Rousseau, Delacroix, Rostand, Courbet and Gautier. So many of the names associated with romance are French. Even the word Romance is French. It is not surprising that so many world luminaries flocked to France in the hope that its romantic essence would rub off on them. Hemmingway, Fitzgerald and Grace Kelly became part of the tapestry that stretches throughout time enticing modern lovers to have their marriage ceremony in France. The epitome of French wedding ceremony must be a chateau. Their design, history and surroundings all provide unique mystique and inspire the heart and mind of any fiancé and fiancée. Unlike functional British châteaux and fortifications, French chateaus were designed as places for families to live and entertain their guests. Chateau Bouffemont, just to the north of Paris is an excellent example. The preponderance of windows and lights testify that the views are of paramount importance both inside and out. Even on rare overcast days, the chateau itself is always a beautiful and noteworthy backdrop to any activity with its 5-hectare estate. France is also rightly renowned for gastronomic excellence and the food at a chateau wedding could rightly grace any romantic novel or fairy tale. Staff will have long-standing contacts and friendships with the local food and drink suppliers to ensure the best and freshest food in season will be served for the couple and their honoured guests and the perfect wine and champagne to accompany the occasion will be served naturally. Weather and external conditions cannot be guaranteed but an estate such as Chateau Bouffemont has four floors of salons, terraces, suites and rooms to accommodate indoor or outdoor ceremonies with a minimum of fuss. Regardless of your own preference, they will readily be able to accommodate your wishes. A French wedding also makes economic sense. The average UK wedding cost is now over £30,000 and it can rise above even this figure. A fairytale chateau wedding is within your budget for you and your guests to enjoy. The cost would also cover expert services to make your day even easier and more memorable including the services of an expert wedding planner to look after the myriad of small details and decisions that can cause big worries if left unattended to. Experienced and helpful staff at the Chateau Bouffemont will also be able to look after the other details that will make a wedding more memorable such as the decoration, flowers, cake, music, photography, video and more. Even more unusual requests and services such as children’s entertainers can also be accommodated. 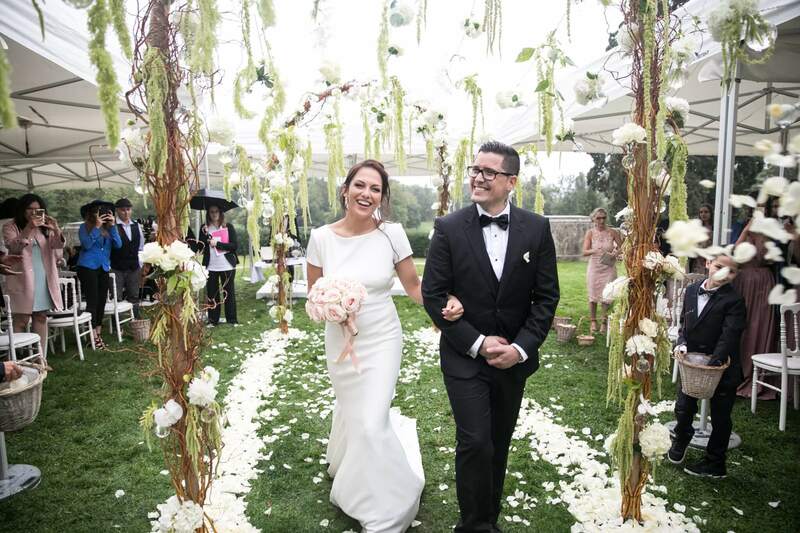 The age of Romance may have passed historically but its ideals and ideas live on and are personified in a wedding ceremony held at a French chateau. Honour your dreams and follow your hearts desire to France and its citadels of romance. Given all of the fuss and headache that typically accompanies the planning of an actual wedding, it’s understandable that for many couples, their engagement party can almost feel like an afterthought in comparison. 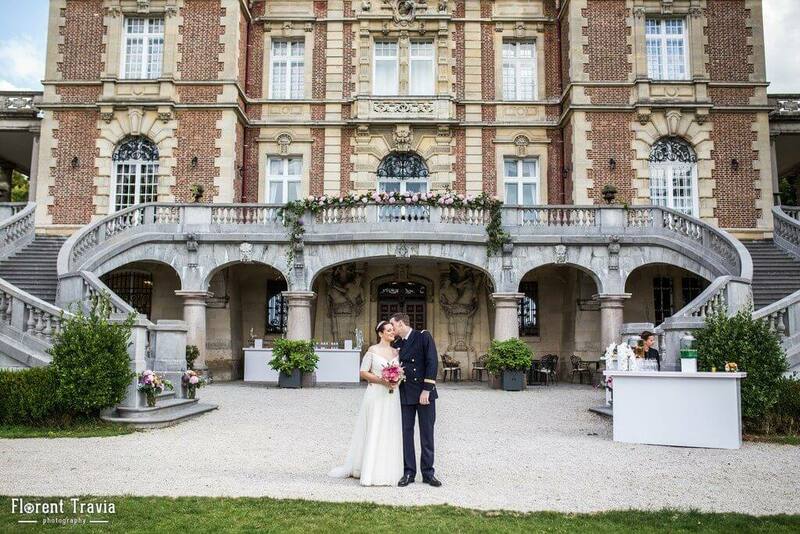 But with your engagement being one of the most special moments of your life in its own right, here at Château Bouffémont, it deserves a similarly special celebration. So with no further ado, here are answers to some of the questions that are most routinely asked about organising an engagement party – and which you should be thinking carefully about. Is it worth having an engagement party? A formal celebration of your engagement is by no means mandatory, of course. However, given that it is one of the most important things that will ever happen to you in life, it is well worth at least considering putting on a bash to herald you and your beloved’s step into the next phase of your lives together. Plus, an engagement party can serve as an excellent opportunity to announce your engagement and toast it in the finest style in a stunning venue, such as Château Bouffémont. Such an event also enables you to catch up with, thank and acknowledge many of the people in your lives who have helped you both to make it this far. Who is responsible for throwing the engagement party? While it was once the bride’s parents who customarily threw and hosted the engagement party for the loved-up couple, these days, it can be thrown by pretty much anyone, such as other family members, friends or even the couple themselves. It’s understandable why the traditional practice has faded – after all, if the bride’s parents are already helping out a lot with the wedding, it may seem rude to ask them to reach back into their pockets to make the engagement party possible, too. For this reason, it is today increasingly common for members of the entire wedding party to assist with the engagement party planning. What’s the difference between an engagement party and a bridal shower? An engagement party is typically thrown for the whole couple to celebrate the announcement of their engagement, whereas a bridal party is centred specifically on the bride, with guests bringing presents for her. It is not traditional for the groom to turn up to the bridal shower. On the subject of the bridal shower, the wedding planning website The Knot has a handy checklist for ensuring you don’t overlook a single detail when organising yours. Are guests expected to bring gifts to an engagement party? The bridal registry or wedding list – a service provided by a website or retail store to help engaged couples with the communication of their gift preferences to wedding guests – is not such a strong custom for engagement parties. Indeed, it is considered rude to include such a registry or list on an engagement party invite, and you should certainly not expect your guests to bring gifts. However, given that people do often give gifts to couples as soon as they are engaged, many of your guests may arrive with a small present regardless, such as a decadent dessert or a bottle of wine. What is a suitable venue for an engagement party? Your choice of venue for an engagement party naturally depends in part on how many people you intend to invite, but also such factors as budget, the ‘vibe’ that you would like your celebration to have, the activities that can be enjoyed at or near the venue, and how easily your invitees can reach the venue. 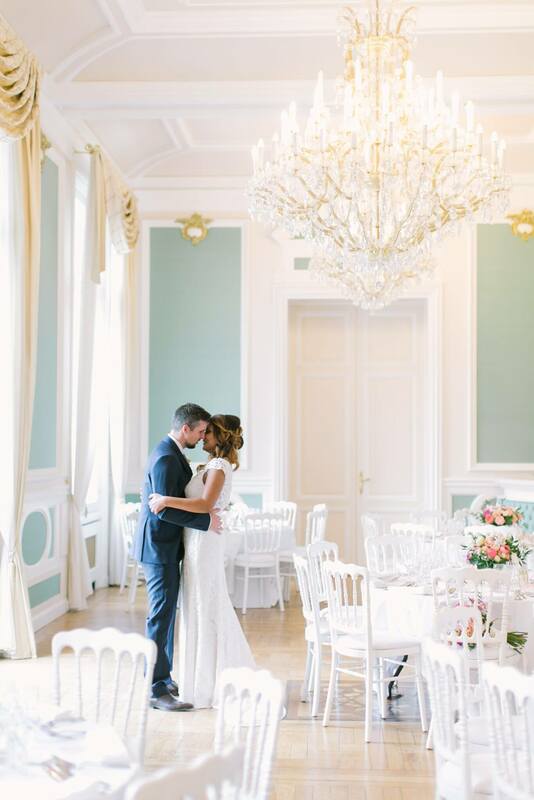 You might not have thought that a chateau engagement would tick many of the above boxes, but the great news for lovers of traditional French-styled romance is that it is perfectly possible when you make Château Bouffémont near Paris your choice of engagement party venue. This is why so many people ultimately get in touch with us to enquire about us providing the backdrop for their engagement bash – and we would add that we can be an equally fairytale venue for an intimate destination wedding in France. The wedding planner that you pick will have the immense responsibility of ensuring that every aspect of the organisation of your big day goes smoothly. You should, therefore, expect to ask a lot of questions to each person you are considering for this all-important job. Here are just some of the questions to ask that will help you to narrow down the candidates. Will you be available on my wedding day? This may appear to be an obvious question, but you would be surprised to hear of how often it isn’t asked until the couple realise the true situation all too late. In fact, you should be asking this question before any other, to ensure you do not waste any time considering someone who isn’t free. If you are strongly interested in working with a particular wedding planner and can be flexible with your dates, you could ask them to give several dates when they will be free within your desired range, so that you can determine when both they and your preferred venue will be available. Have you organised weddings at this venue before? Your chosen wedding planner having overseen nuptials at the specific venue you have in mind is a big plus, as they will therefore probably know the venue staff, layout and logistics. This, in turn, should help to make the planning process that bit smoother. Alternatively, it may be that the person in question has planned weddings at similar venues, which can be a great advantage, too. It could enable you to ask them a little more about their approach to organising weddings in such settings. This way, if you have an unspeakably romantic French chateau wedding at such a fairytale venue as Château Bouffémont in mind, you can be sure of the planner achieving a ‘vibe’ that you will love. How do you deal with difficult family members? There are various ways in which you could phrase a question like this. 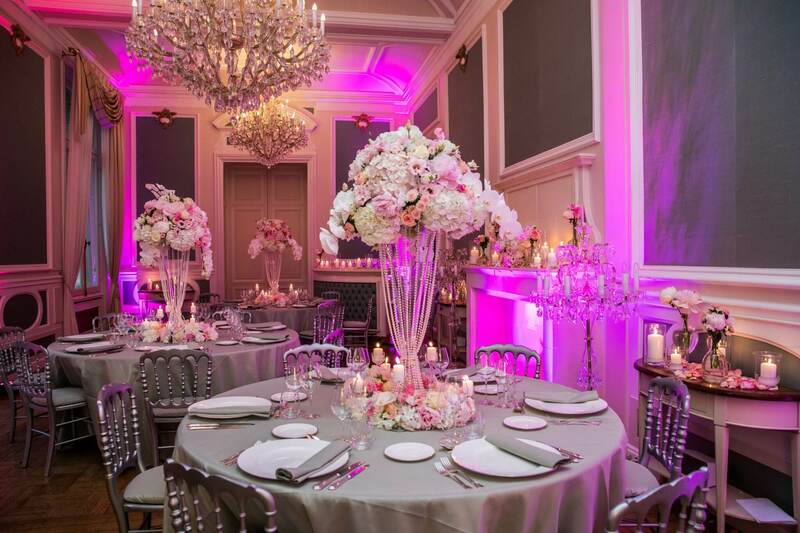 The key is to uncover evidence of how the wedding planner customarily responds to those unexpected disaster situations that could put them under a lot of pressure. You won’t want to discover that your chosen wedding planner becomes easily flustered or angry in such a situation on your big day itself! However, you should also gain a sense from this person that they have a foolproof backup plan in mind for such difficult situations and will be organised enough to hopefully ward off any catastrophes from occurring in the first place. Don’t simply presume that disasters like those told by nine wedding planners for this recent article for Cosmopolitan won’t happen to you; being ready for worst-case scenarios is vital. Different wedding planners often have very different methods of operating, and you will want to be sure that your chosen wedding planner’s process works well for you. The wedding planner that you have in mind may be based largely in Paris, for instance, which may seem ideal if you are getting married somewhere like the refined stone-built Château Bouffémont, situated a mere 30 kilometres away. However, you may be a resident of the UK who will not be visiting France until the wedding, which will not be helpful if your Paris-based wedding planner is never in Britain and prefers to discuss their ideas with you face-to-face, rather than via email or over the phone. For how long have you been a wedding planner? We’re not attempting to suggest here that an experienced wedding planner is automatically preferable to an inexperienced one. However, if the person you choose has spent several decades in the industry rather than just a few years, they will have had greater opportunity to develop connections with vendors that could translate into a better wedding for you. While it’s important not to become too stressed out by the process of selecting a wedding planner, you should also not underestimate the difference that the right person can make – not least because, as explained by Loverly, working with a wedding planner can bring unexpected benefits. Such is the strength of the French signature wedding dress style – blending classicism, ease and a nonchalant sensibility in a manner you might have long regarded as inimitable – that it’s unsurprising so many brides nonetheless seek to emulate or at least borrow elements of this aesthetic. Indeed, when you are looking to host the most memorable chateau wedding in France at a sumptuous Parisian venue like Château Bouffémont, it may seem borderline uncouth not to appropriate at least some aspects of the legendary French bridal style. So, here are just a few of the ways you can make it possible for your own gown – as advised by leading wedding dress designers. There surely can’t be many French wedding gown styles that are more evocative of this utterly romantic, but also laidback country’s sensibility than the two-piece. If there’s any kind of bride who is unlikely to rush into a bridal designer’s outlet while furiously demanding that the recent wedding dress of a Hollywood star or British royal is replicated for them, it is the French or Parisian bride. Parisian brides may like to keep things rather more understated than the comparatively flamboyant or risqué styles favoured by many a ‘bridezilla’ in the UK or US, but they do expect high standards from their dress in another sense: the level of scrutiny given to every aspect of the design. One other intriguing aspect of the French approach to bridal style is an aversion to the strapless dresses that are often so popular elsewhere, which appears to be down to a preference for a more ‘down to earth’ and effortless vibe among Parisians. 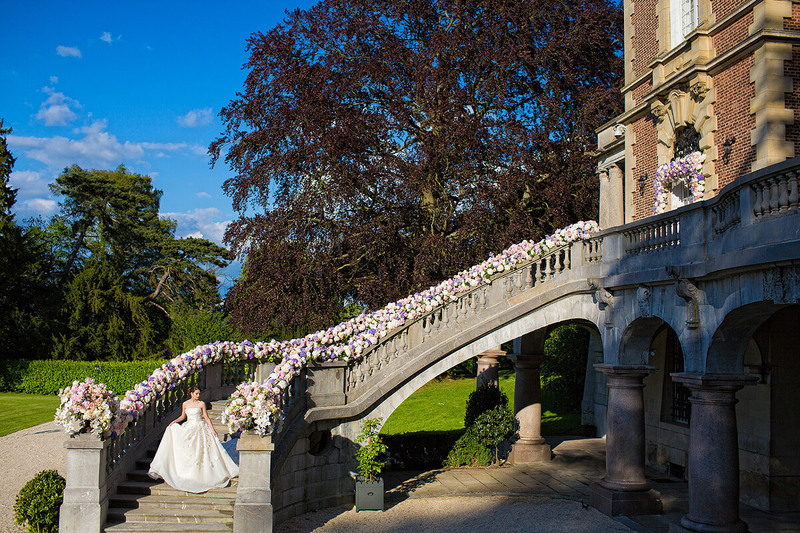 There is certainly no shortage of ways to inject a few doses of French sensibility into your wedding dress, as can be an especially good strategy when you are planning French-style nuptials at a suitably French venue – such as our own fairytale property, Château Bouffémont. 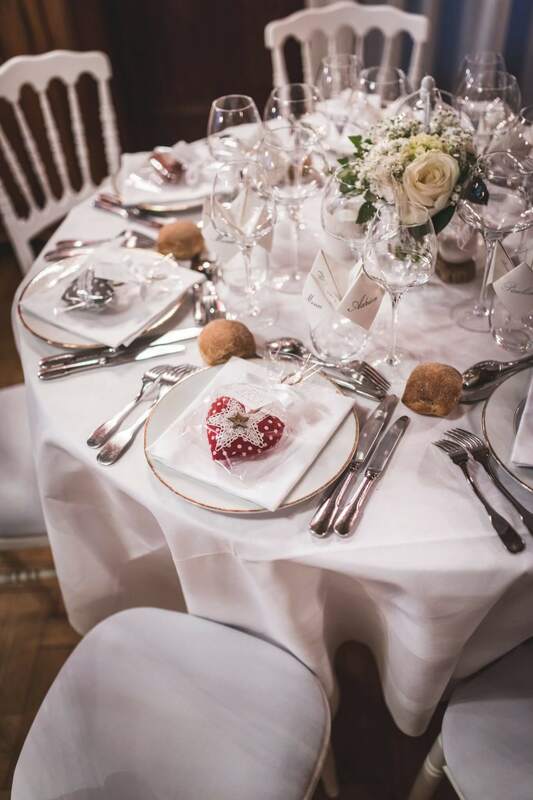 Why not enquire today about how we could play our part in making your dream Parisian wedding a reality at our resplendent former noble residence? It is unsurprising that so many couples wish to tie the knot in France, which is, after all, perhaps the country on earth to be most indelibly associated with romance. However, whatever your own preferences or plans for your special day may be, it is vital to be well-informed with regard to the legalities and other practical aspects of formalising your union overseas. What kind of venue do you desire for your big day? France is such a frequently dreamed-of wedding destination in part due to its abundance of highly distinguished and enchanting venues. A French chateau wedding is surely the archetypal romantic occasion, as we have good reason to appreciate here at Château Bouffémont, on account of the many enquiries received in relation to hiring the magnificent heritage property for ceremonies and receptions. While France is blessed with a variety of wedding venues to cater to different aesthetic tastes, it is also crucial to consider the logistics of your special day, including travel connections and the ease, or otherwise, with which your intended guests will be able to reach your chosen venue. This is another factor that often heightens the appeal of such a well-situated venue as Château Bouffémont, which can be found in the heart of Montmorency Forest, a mere 40-minute journey from central Paris, and 20 minutes from Charles de Gaulle and Paris-Le Bourget airports. As explained by such online sources as TransferWise, there are many elements and rules that one must follow if they wish to hold a marriage ceremony and/or reception in France. Some of the legal requirements for a wedding in France – such as for both parties to consent and be at least 18 years of age – may seem easy enough to meet. However, one frequent barrier to those wishing to officially marry in the country is the need to provide proof of residency in France for a minimum of 30 days prior to the application being made, for at least one of the parties. It is for this reason that many couples ultimately elect to have a legal wedding in their home country, followed by a religious or symbolic ceremony at a French venue of their choice. This was the approach taken by Natalie of the Weddings Abroad Guide website, who explained: “My husband and I ‘secretly’ got married in the United Kingdom prior to our wedding in France and had a Humanist wedding ceremony on our wedding day in France. When you are interested in holding a destination wedding that will warm the hearts of everyone present and leave positive memories to last a lifetime, you can scarcely hope to select a more suitable venue than Château Bouffémont. The noble stone-built property offers an extraordinary setting of manicured French gardens that lends itself beautifully to the most endearing photography. On the inside, meanwhile, you will find the opulent furnishings and crystal chandeliers that practically define the most intimate and charming of wedding venues. 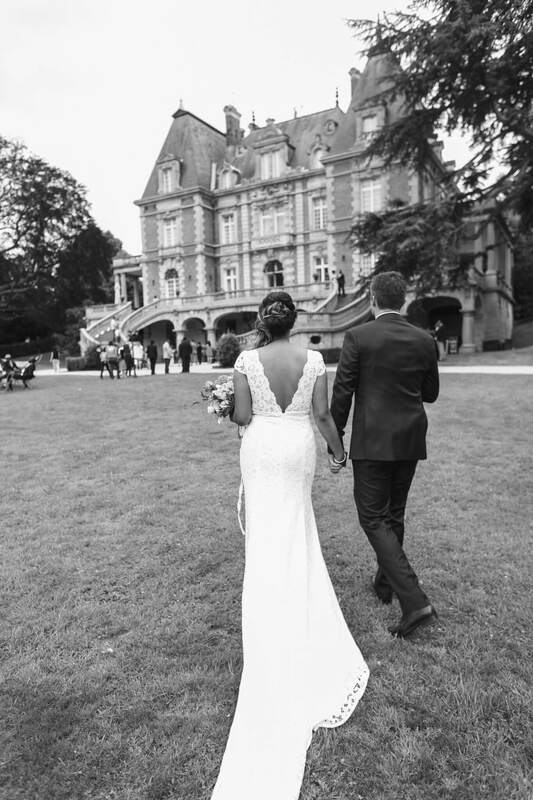 Combine these elements with the exacting service characterised by the highest level of attention to detail, and you may have the ideal venue for your own intimate French chateau wedding. If you have often seen friends and relatives enjoying chateau weddings, you could be understandably attracted to the idea of having a similar ceremony for your own big day. 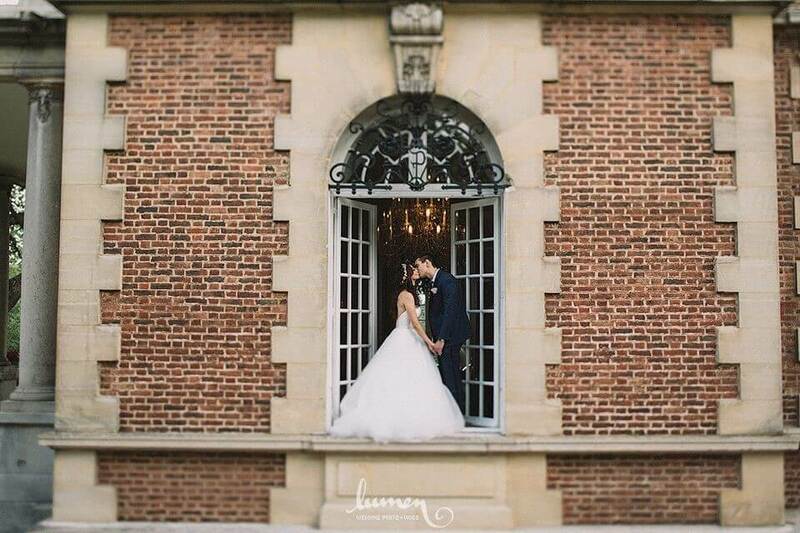 The Château Bouffémont could be the perfect location for your nuptials. One way of leaving a positive lasting impression on your guests is making the wedding a surprise. You could do this by renting Château Bouffémont for your intended wedding day and then sending out the invites – except omitting the detail that the event will be a wedding. If you indeed go down this route, you could hold the wedding shortly after announcing the engagement. Otherwise, someone could let slip the big secret before time, as Vogue cautions. This can be imperative if you are seeking to keep the wedding under wraps for now, as even well-meaning friends and relatives could be reluctant to make long journeys for anything other than significant milestones. Therefore, you should try strongly incentivising them to travel. If you book Château Bouffémont, you could draw attention to its proximity to Paris. The stunning refined building is just 30 kilometres from the centre of the French capital and its many attractions. At a summer wedding, it can be standard practice to hand glasses of champagne to guests as they arrive. However, as recommended in another Vogue piece, you could instead place decorative pitchers of fruit-infused ice water at the entrance to the venue. This can have the dual benefit of not only giving your guests another unique little detail to fondly remember but also helping to keep them cool – a purpose that some fruits are especially effective at serving. 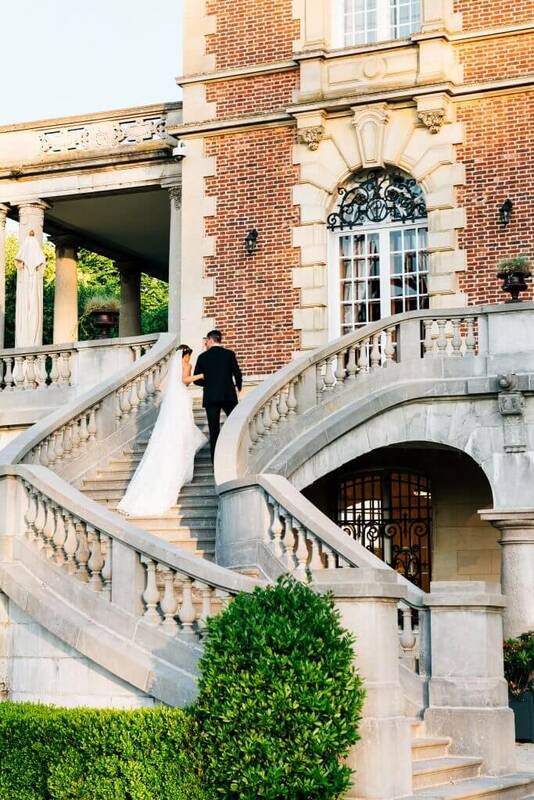 When you rent Château Bouffémont for use on your wedding day, you can tailor the on-site services that we provide to prevent boredom setting in among your guests. For example, you could ask our fully dedicated staff to make refined cuisine that meets various guests’ specific culinary preferences. You could even book private fitness and dance classes or let guests try cookery or taste-test wine. It’s all possible at our chateau. If you have attended many weddings in the past, you might have understandably felt anguish about how you should dress for these occasions. After all, discerning how to dress in a way that makes you stand out but not show up the bride can seem like a delicate art. 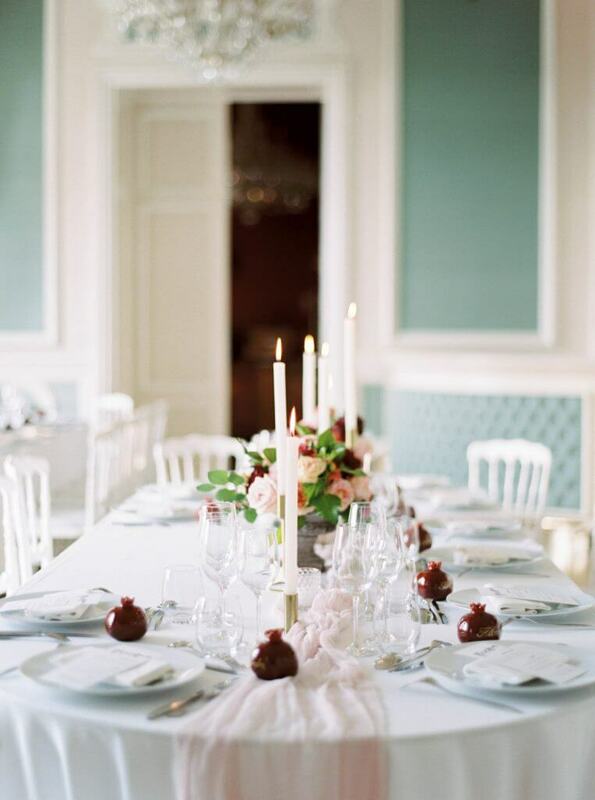 To prevent your guests struggling to strike the right balance, you could show them these tips from Harper’s Bazaar. You can then start preparing for other aspects of the wedding; here at Château Bouffémont, we warmly welcome reservations for chateau weddings for dates during the summer.